Hey babes! By the title I am sure you have guessed what we are going to be discussing today. Yep it's that time of the year to audit your wardrobe. You are probably thinking why do I need to do this? And my answer is can you tell me everything you have in your closet? Can you create chic and comfortable daily grab and go outfits? Do you have to try on multiple looks because something doesn't look or fit as expected? If you answered yes to any of those questions it is time for you to do a full audit on your wardrobe. I have been there and trust me it gets annoying to think you have an item but when you need to wear it doesn't fit or look how you expected! Ugh...I hate when that happens. It wasn't until I finally just stopped on a weekend and completed a full audit on what was in my closet. Do I really need shirts from 3 seasons ago that I know I am not going to wear? How about jeans I just know I will fit back in...but haven't done so in the last year...darn Cheese Its..oh well. We all do it but those clothes are just cluttering your closet and not fitting into your personal style. Short story: I remember I had this one dress that I absolutely loved. It was an Spring season a line, floral, pink and green dress which screamed my name when I saw it in Macy's. The only problem was it was purchased like 4 years ago and I couldn't fit in it. I mean nothing would stay in one place...I was popping out of everywhere. I held on to it because I knew I would fit in it again...well 4 years later and I still couldn't. It was at the end of December 2015 when I did a full audit again that I finally said goodbye and gave it to the Goodwill. Along with that dress and many other items that were hogging up space I gave them away. Now I have more room to add new items that fit properly and that are in my personal style. 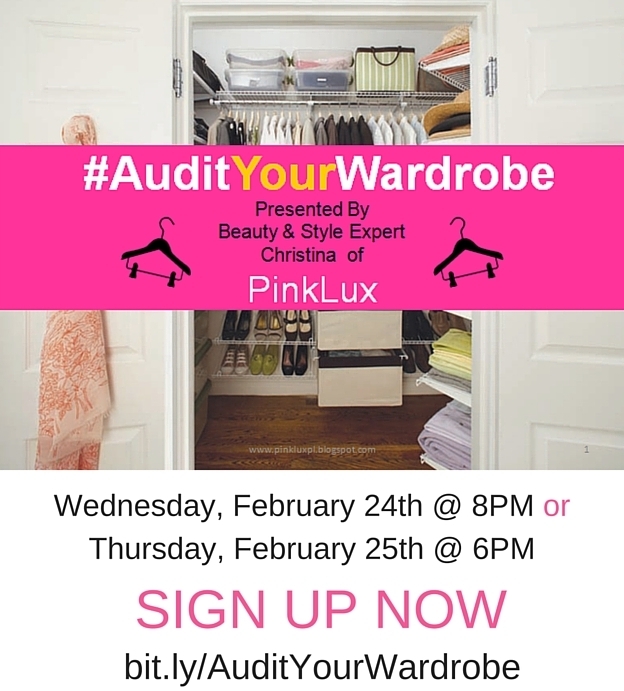 Learn how to properly audit your wardrobe. 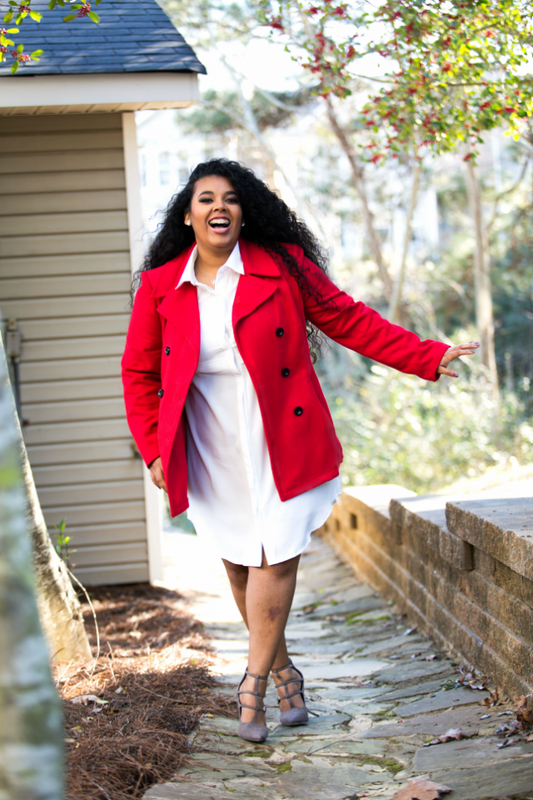 Learn how to create a wardrobe shopping list on your budget & style. Learn how to organize your wardrobe so it is grab and go ready. ++ a workbook to help you along the way. I know you are a hard working lady so I am offering this webinar twice! Please share with your besties. Thank you so much! Enjoyed your session! Very informative!